Do you have problems getting used to Contacts, Calendar and iChat's new name? Alfred to the rescue! 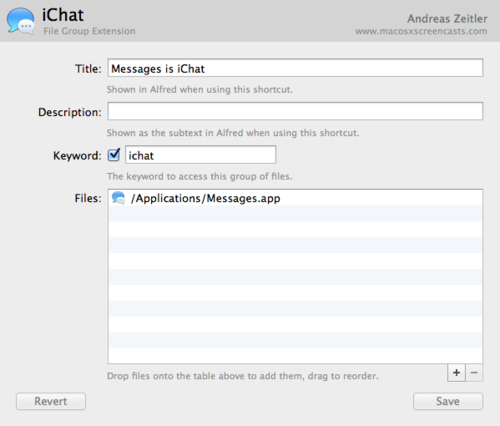 You can drag Messages onto the icon well, then this Extension will even have Messages’/iChat’s icon showing.